Michelle Williams got "goose bumps" recording new Destiny's Child song 'Nuclear'. The 32-year-old singer has been back in the studio with bandmates Beyonce Knowles and Kelly Rowland after an eight year hiatus and said it was "fun" to pick up from where they left off. "I literally got goose bumps. [After hearing it,] Beyonce sent an email like, 'Man, we sound good together!' I'm like, 'Duh, that's what we do, boo! That's what we do!' 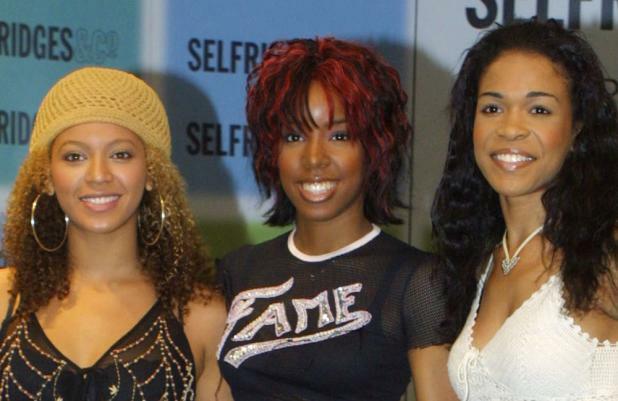 "
The girls' new album 'Love Songs' will feature new songs as well as a selection of their hit singles including 'Say My Name' and 'Emotion' and Michelle admitted it was harder for Beyonce, 31, and Kelly, also 31, to choose between which of their earlier tracks to include from before Michelle joined the group in 1999. She added to MTV: "I think what was harder for them was to go back even before I got in the group, to the archive from when they were 12 and 13 years old singing about love. "I think it might've been a little more difficult for them to choose those songs, but it really was fun. I was cracking up when we were compiling the artwork and we could tell which pictures were good budget, low budget, records sold, not that many sold. "We're not promising anything, but we just wanted to say, 'Hey, we still got it,' and we just wanted to give fans something just to say thank you and that we really love you." 'Love Songs' will be released on Tuesday January 29.